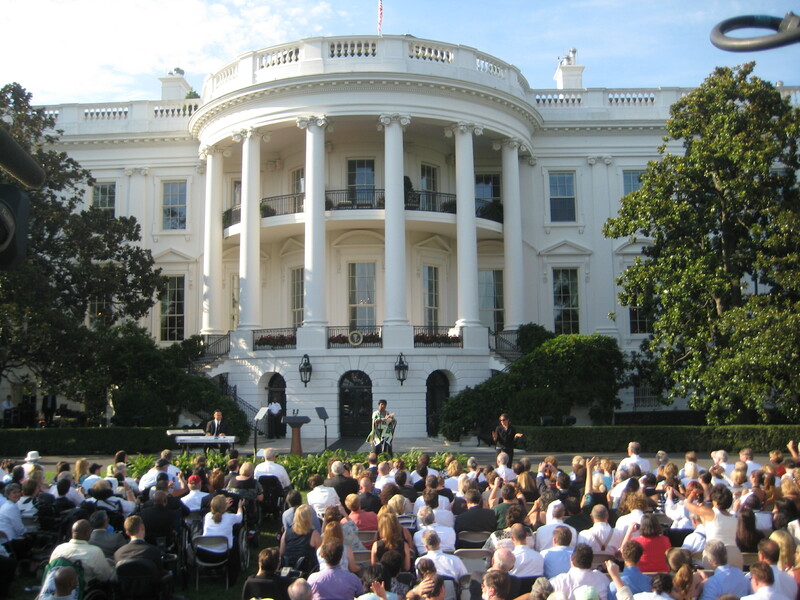 In front of invited guests including Cabinet officials, Members of Congress, grassroots leaders and Americans living with disabilities, President Obama commemorated the 20th anniversary of the Americans with Disabilities Act on the White House South Lawn today. Obama says he wants to help those who have been turned away for jobs or services, like going to the movies, due to disabilities. People with disabilities “refused to accept the word ‘no’ … “and progress was born,” he says. Obama’s father, he says, suffered from Multiple Sclerosis and got up earlier than others to get to work, but never missed a day, Obama says. The President also signed an Executive Order to increase federal employment of individuals with disabilities.The Executive Order fulfills a pledge by the President to have the federal government be a model employer of people with disabilities. 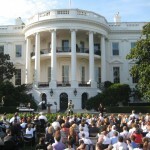 It establishes mechanisms such as mandatory training for hiring managers, requires preparing of strategic plans by agencies, requires the White House to develop model guidelines and assistance for hiring people with disabilities, reporting to the President about progress, and publicizing results on a website as a way to promote transparency. The President was joined onstage at the signing by Administration officials, including Kathleen Sebelius, Secretary, Department of Health and Human Services. 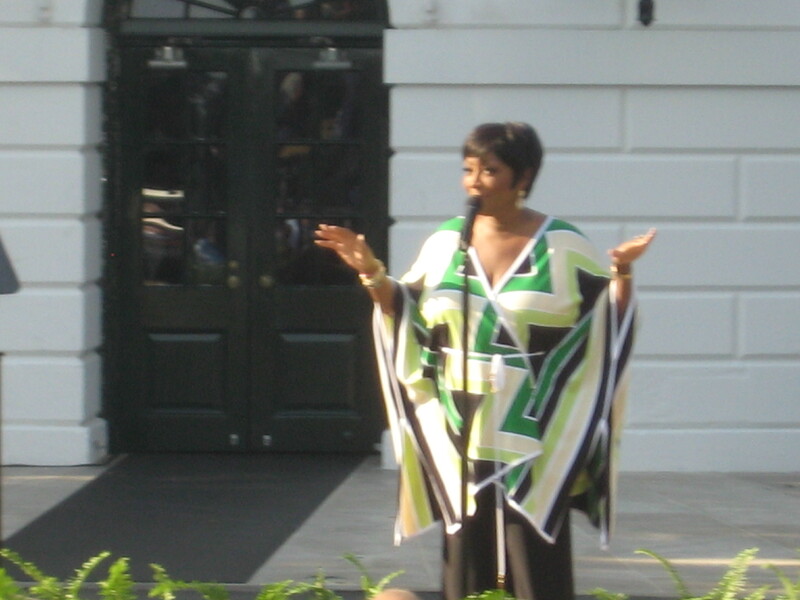 The event included performances by Nathaniel Anthony Ayers, Patti LaBelle and Marlee Matlin. 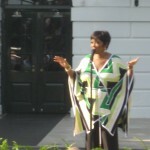 LaBelle sang “I Got a New Attitude” and Wind Beneath My Wings,” among other songs. 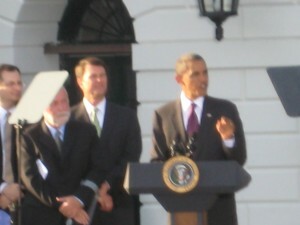 CSI actor Robert David Hall introduced the President.Hall is an amputee and his brother, Bruce, is legally blind.